Now serving customers in Prince William, Fairfax, Fauquier and Loudoun counties in Virginia! Our state-of-the-art truck and cleaning system uses high temperature water and bio-degradable cleaning solutions to kill bacteria and other viruses, protecting our customers from diseases. 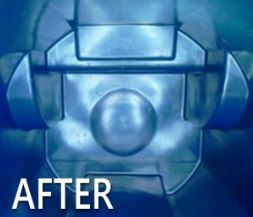 This cleaning system also protects our environment by capturing the cleaning solution and dirty water in holding tanks for proper disposal. 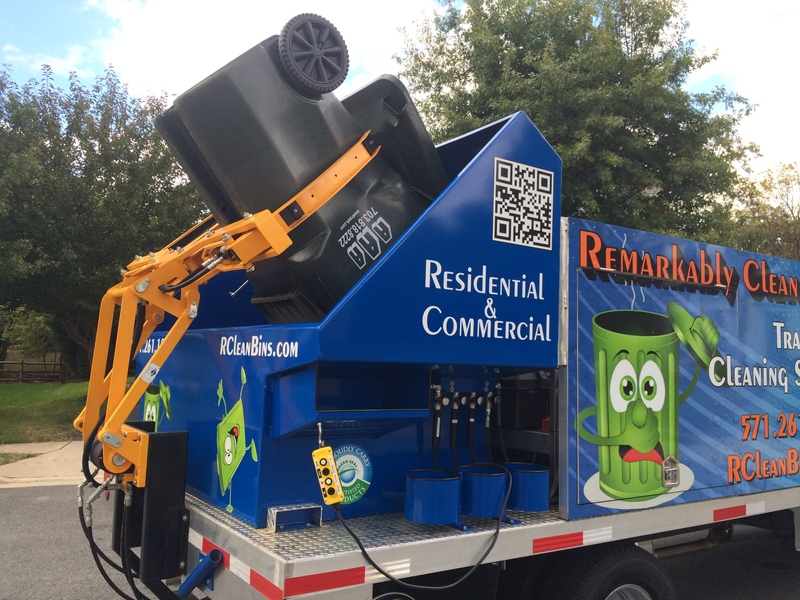 All you need to do is leave out the trash and recycling bins after regular trash or recycling pickup and our specialized cleaning truck will come by to clean the bins. We come to your home after your trash is picked up and pre-treat your bin before cleaning. 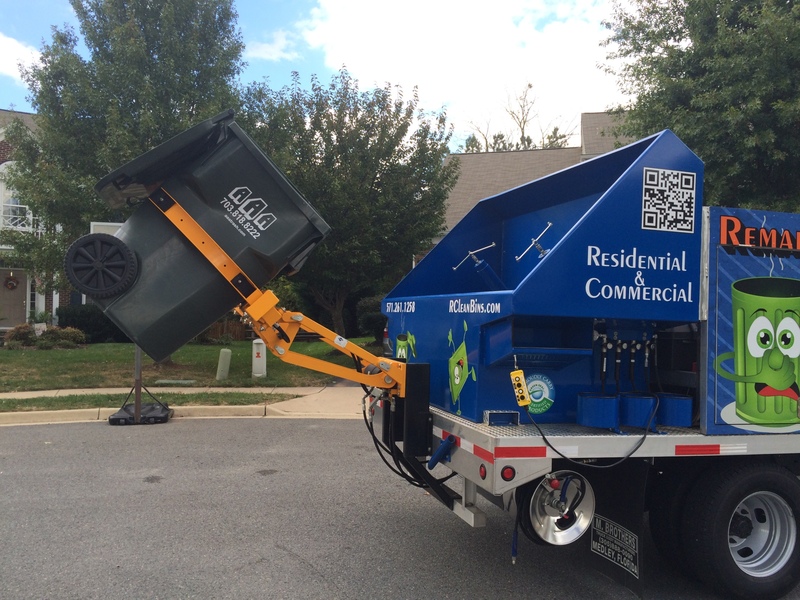 Our state-of-the-art garbage can grabbers will lift the bins into the cleaning truck. Our cleaners are 100% biodegradable products. 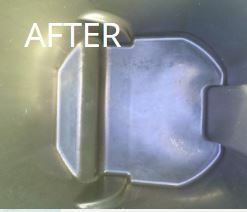 Inside the truck, spinners and hot water combine to sanitize and deodorize your garbage can. The dirty water is held for later disposal. 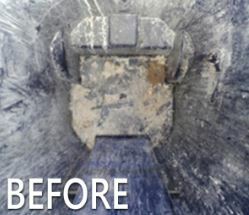 Using the ultra-high-pressure 180+ degree hot water trash and recycle bin cleaning system, bins are disinfected, deodorized, and smell fresh. Best of all... no more smelly bins in your garage! Want to see our process in action? Just watch the video below! Get your trash cans cleaned right away! 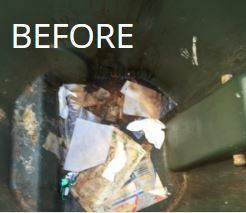 Sign up today to get your trash or recycling bins cleaned. 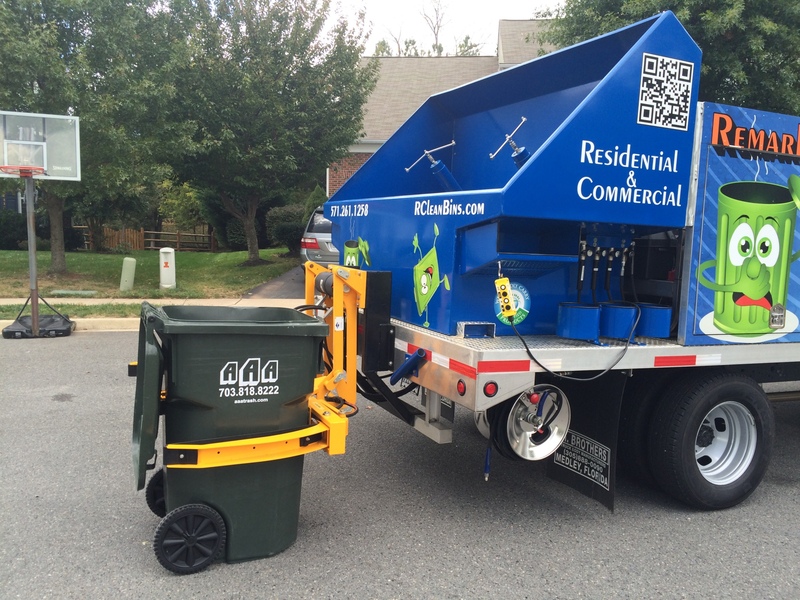 Sign up today to get your trash cans or recycling bins cleaned.